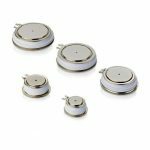 The GTO stands for gate turn OFF thyristor. The GTO is a three terminal device. The terminals names are anode, cathode and gate. 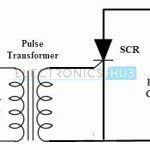 It can be turned ON by applying a pulse of positive gate current and it can be turned OFF by applying a pulse of negative gate of proper amplitude. 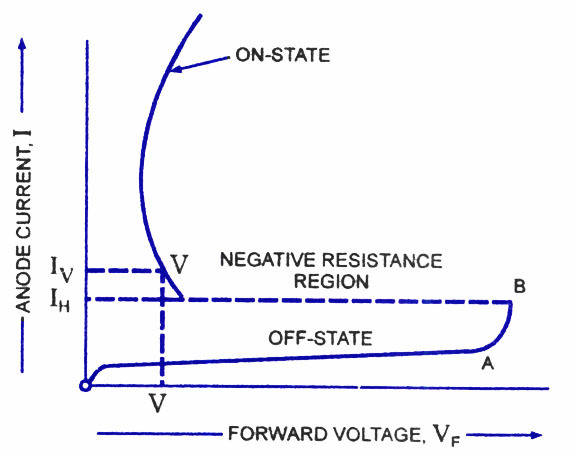 The GTO can resist higher voltage and current than the power transistor or MOSFET (metal oxide semiconductor FET). The V-I characteristic of GTO is shown in above figure. It is observed that the characteristics is in the forward direction is the same to that of conventional SCR. 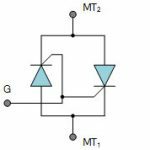 In the reverse direction, GTO breaks down at a very low voltage. 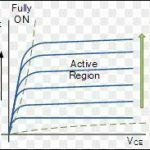 The reveres breakdown voltage is of the order of 20 to 30 V only. 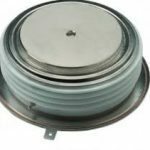 The latching current for large power GTO is in some amperes as compared to 100-500 mA for conventional thyristor same ratings. 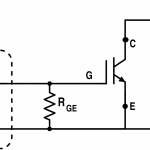 If the gate current is not able to turn ON the GTO it behaves like a high voltage low gain transistor with significant anode current.